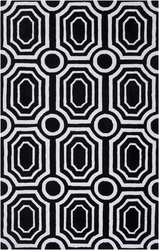 Plain spaces and blah rooms become gorgeous design havens with a black or brown rug. 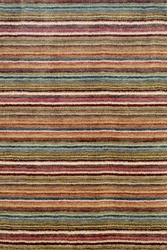 Let's face it, many people have misgivings about a rug in this hue. They are unexpected surprises, but these rugs are not just for someone else's home. They can be for yours as well. 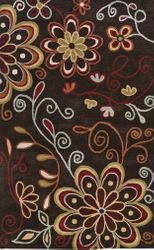 Your room can go from ho-hum to va-voom with a black or brown rug. Don't be shy, go bold. The key is to find a rug with an added complementary color to get the effect of a black rug without all of its intensity. Best of all is that they hide dirt and stains! 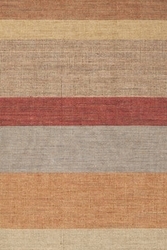 Texture is important when choosing a rug with these hues. 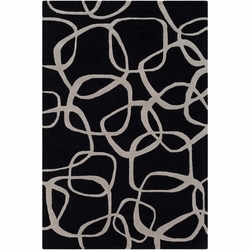 A flat, dull, dark rug will drain a room of cohesiveness, adding nothing, while taking away all of its energy. 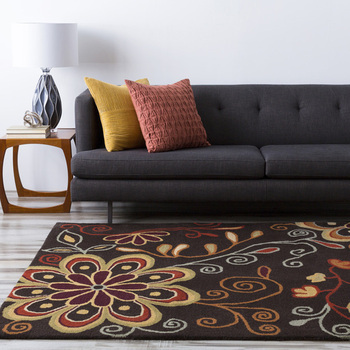 A beautifully textured black or brown rug can actually pull together all of the individual elements in a room making it feel alive and welcoming. 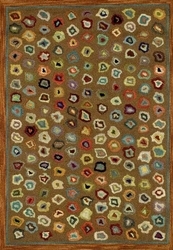 Look for a rug that will accentuate the beauty of the furniture, art and accents in the room.